How well do you manage your time? If you’re like many direct sellers, your answer may not be completely positive! Perhaps you feel overwhelmed, you often have to work late to hit your deadlines or goals, and your days seem to go from one crisis to another, you feel like you should be working while with your family and when you are working you desire to spend more time with your family. This leads to one stress after another and is often times demoralizing. Honestly, many of us know that we could be managing our time more effectively; but it may difficult to identify the barriers to productive time management and know how we could improve or bust through these barriers. Awareness is the first step to overcoming. Let’s explore the 5 biggest barriers to productive time management and what you can do about them so you can be more productive, fulfilled, and happier! Having your direct sales business is appealing because we can have it all and do it all. This however does not mean that we should be having and doing it all… at the same time. One of the biggest barriers to productive time management is multi-tasking. Even if you think you are multi-task well, the truth is that it can take 20-40% more time to finish a list of jobs when you multitask, compared with completing the same list of tasks in sequence oftentimes, resulting in performing the tasks poorly due to a true lack of concentration. We all want to work smarter not harder, right?! Systems are the way to do this. I tend to have systems for just about everything and credit my ability to build a muItimillion-dollar direct sales team to this. It allowed me to be extremely productive in my personal business and also rapidly identify and develop team leaders of leaders. Without using a systematic approach, the chaos it causes derails many promising direct sellers. It allows you to know what to do, how and when to do it. Some people get a rush from being busy. The narrowly-met deadlines, the piles of files needing attention, the frantic race to the meeting, the unending groups to comment in, the tension of the training to prepare for, tirelessly tweaking handouts… What an adrenaline buzz! The issue is that an “addiction to busyness” rarely means that you’re effective, and it can lead to stress. Busyness is not business. Many times, it pays to slow down to speed up and to focus on income producing activities. Set the same day of the week for specific tasks. This takes the guess work out of what you will do each day and actually save you hours a week. Do you spend hours on Facebook or Twitter driven by the fear of missing important or finding yourself scrolling trivial status updates? This has become an epidemic. The best cure for this epidemic is to focus on income producing activities. Do you ever have that nagging feeling that you should be doing more, uncertain of what you should be doing to be more successful or you’ve forgotten to do an important piece of work? Knowing what activities you will do daily and weekly will help you focus on your long-term goals without overlooking your short-term priorities. Your productivity will soar if you focus on activities that directly relate to income first, freeing your energy for other activities later. Do you know where you’d like to be in six months? What about this time next year? What awards will you receive at your national conference? If not, it’s time to set some personal goals with specific action steps! Setting goals and “putting legs” to them to turn them into intentional activity is essential to managing your time well, because goals give you a target, destination and vision to work toward. When you know where you desire to go, prioritize your time and resources to get there, working from systems and income producing activities you can be unstoppable. Intentional goals can help you from chasing shiny objects and getting distracted. Because so many struggle with the barriers to productive time management, I wanted to help with this. 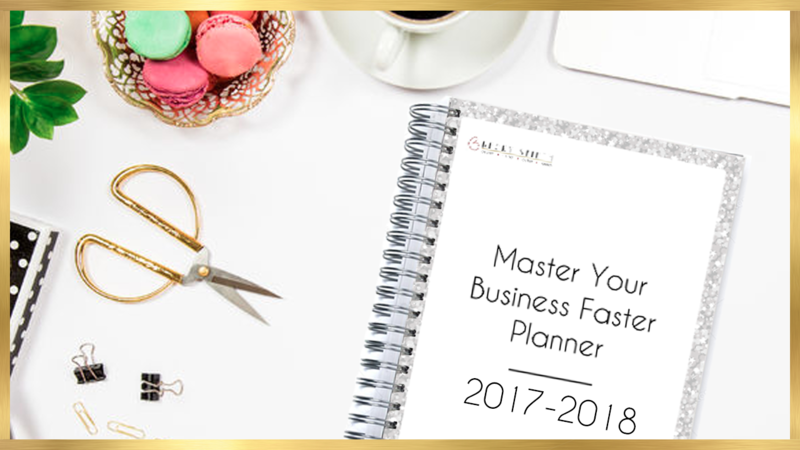 I put together the best tool… The Master Your Business Planner. You can get this incredible planner printed and ready to help you overcome these barriers. Check it out below. It will be the best investment you have ever made in your business. It is a business plan system for your direct sales business with all the tools for success. It helps you set your goals, intentions, tracks your success, hosts, sponsoring, and does it with monthly, weekly and daily tools. It even gives you a way to track your expenses and more. Join the hundreds of other direct sellers that use it and say it is the best planner they have ever used and has been “the tool” to skyrocket them to success. With this system, you’ll find yourself enjoying your business more and stressing out less. Here’s to you, the success you deserve and breaking through the barriers to productive time management! PRINTED AND DELIVERED TO YOUR DOOR! Income producing activities are the life blood for ANY business. However, many people believe they ARE focusing on income producing activities when really….they are just BUSY. Being busy does NOT always create more income. It is similar to running on a hamster wheel. Checking off all your daily tasks is great but, did you simply consume your time with “stuff” to do like clean the office, check your email, or surf Facebook? OR did you move your business forward towards building a fabulous income? Have you ever wanted someone to “just tell me what to do” to be successful in business, or give you ideas to be creative to keep the business exciting?